Huawei is a multinational company which has a variety of products under its coverage. It is one of the leading manufacturers of telecom equipment on the globe. Now, it has emerged as a significant player in the phone and tablet market. With the development of features and technology, it is keeping the customers captivated by providing everything they look for in a smartphone. However, problems can creep up in any electronic device at any time. To resolve your issues, Tech Support Dubai is here to provide you with services which will keep your mobile up to date and problem-free. For affordable HUAWEI MOBILE PHONE REPAIR services, you can reach us at any hour of the day. No matter what your concern is regarding Huawei phones, we will ensure that you get excellent solutions for all your problems. 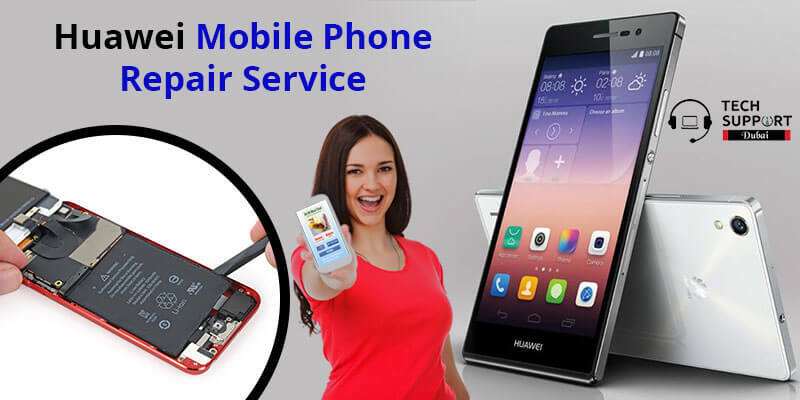 Huawei Mobile Repair: You can face a variety of issues with technical devices for which, you need expert help to fix them and restore the device’s performance. Our team of technical experts has acquired excellent knowledge and skills by working on pertinent problems which are hampering your handset. At times, the level of complexity can be quite high, but our experts are capable of handling any given issue with utmost care. With regular training, we are proficient in keeping them up to date with the latest advances in mobile technology. We are presenting you with a range of services which are affordable and productive as per your need. Delivering budget-friendly prices, we offer 24*7 support for your convenience. We understand that you can face issues at any hour of the day. Hence with 24 hours service availability, you can contact our experts at any moment. At first, they will assist you in examining the damages and will provide essential tips to prevent any further issues. Secondly, they will present you with the real-time diagnosis and will pass on the effective solutions to meet the requirements. You can be assured that none of the repair services will hamper your budget. Upon further confirmation, they will perform the required troubleshooting procedures on your device. Quality results through effective solutions. Optimizing your Huawei mobile phone with transparent service policies. On-site assistance and door-to-door service. Technical guidance from the qualified experts. You can reach our Huawei mobile specialists at Tech Support Dubai by dialing the helpline number: 042053349 . Along with this, you can also chat with our experts through the Live Chat portal and get valuable solutions online. Alternatively, you can also contact us via email. Drop us a service request and we will get back to you within one working day. Feel free to connect with us via any medium of communication and solve all your Huawei handset issues at the earliest as we believe in delivering what we promise.